According to the voice newspaper and I am in a position to verify this :) "Prairie Schooner, the University of Nebraska’s internationally-recognized literary magazine, has announced its next release of the new arts and literature series Fusion. A fresh online series featuring collaborations between Prairie Schooner and interesting, innovative online literary entities and individuals from around the world, Fusion seeks to create dynamic fusions in literature and art. Fusion No.1 features a collaboration with Cordite Poetry Review focusing on work. Fusion No.2 continues the themed trend by focusing on womb, while featuring a partnership with Batswana poets and artists. Marianne Kunkel, Managing Editor of the Prairie Schooner, will be co-curating Fusion No.2 with local poet TJ Dema, a Botswana-based poet who runs SAUTI- an events, arts and performance management organization. “Taking on such a decision-making role as curator of the upcoming Fusion was thrilling,” says Kunkel. “Prairie Schooner exceeded my expectations regarding the number of candid and eccentric womb-themed poems that appeared in its pages in the last 86 years. 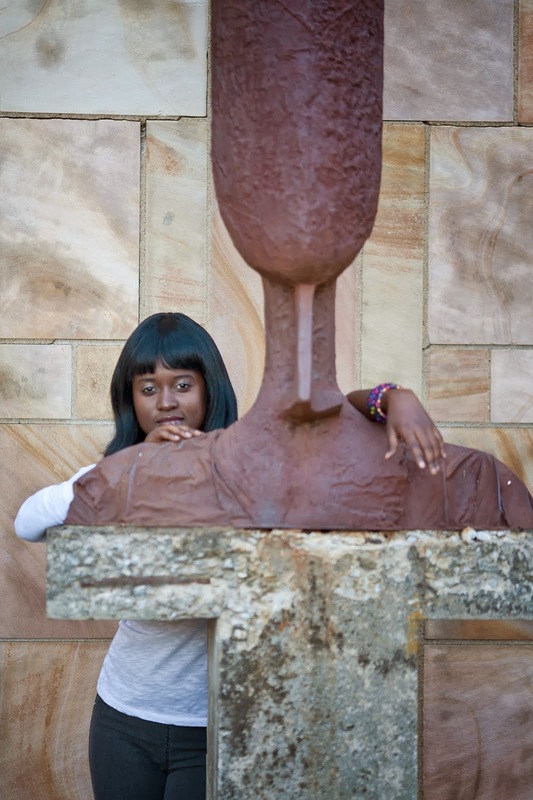 I’m extremely pleased with the online conversation that TJ Dema and I facilitated across continents and generations—a conversation not only about the womb but about women’s bodies as whole entities.” "
The featured Botswana artist will be Maru a pula art teacher and practising artist Sedireng Olehile Mothibatsela whose work I adore. Kelly Manning, a graduate of the University of Nebraska, will be the featured Nebraska artist. Featured Batswana poets include the former Iowa fellow, Barolong Seboni; the 2011 international slam champion for the African poetry express slam held in Zimbabwe, Mandisa Mabuthoe, and the winner of a Farrago prize, Andreattah Chuma, poets Tshireletso Motlogelwa, Joshua Machao, Lesego Nchunga, Dredd X - you don't want to miss this. View the Fusion archives at the prairie-schooner website featuring art as well as poems, audio, and interviews. Hi TJ I have been looking forward to buying your book. I remember talking to you a while bad and you mentioned that you are still working on writing a novel. When will it be out? and will it be available in the local book stores? Hi Bidgie, at this ppoint a novel - unlikely :) book as in a collection poetry yes. I've learnt you can't rush these things but I assure you I'm not sleeping on the job. In the meantime I hope you are reading all the local poetry that is currently available. Keep an eye on the blog for updates. Thanks for stopping by.